Are you interested in studying Fashion Design or one of the majors within the College of Architecture and the Built Environment (Architecture, Architectural Studies, Construction Management, Interior Design, Landscape Architecture)? If so, join us for a specialized visit. We are holding our final Fall Open House on Saturday, November 11, 2017. Open Houses provide visitors with the opportunity to get a lot of helpful information in one day. Tour campus, attend a presentation on your major, learn about Financial Aid options and get your questions answered by faculty, staff and current students. We’ll also be unveiling new Honors opportunities at Jefferson during the Open House. 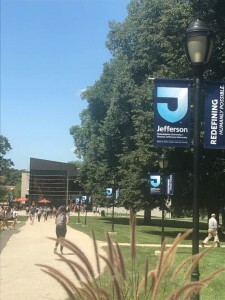 It’s a great way to see if Jefferson is the place for you!